Litchurch Ward is our male low secure service and can support up to 15 men who have mental health or dual/multiple diagnosis needs. The ward is suitable for people who are moving on from medium security placements and who have engaged in dangerous and/or chronic challenging behaviour and who may pose a continuing and ongoing risk to others or themselves. We can also support people who represent a persistent risk of absconding to avoid treatment, those who find it difficult to engage and those who have a dual or multiple diagnosis, which could include substance misuse and/or personality disorder. 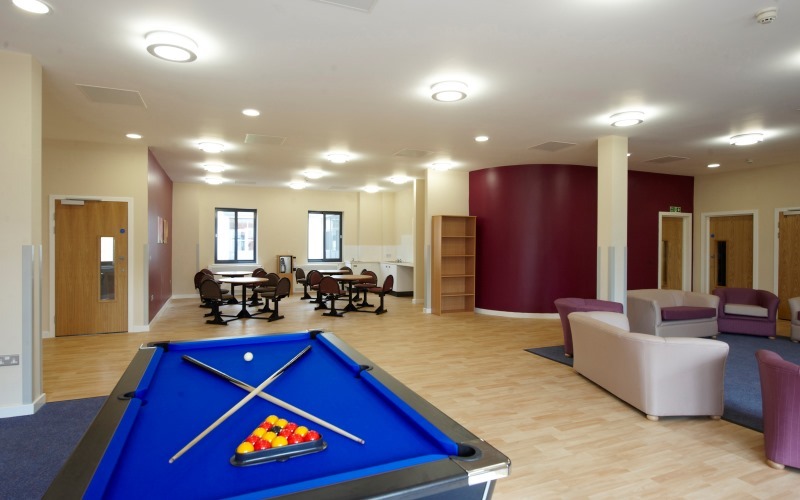 Together with our Wyvern Unit and Wyvern Court, Litchurch Ward forms part of our integrated male care pathway at Cygnet Hospital Derby, enabling men who are admitted into a low secure setting to progress towards more community focused rehabilitation. Our team of forensic, clinical and assistant psychologists offer a variety of therapeutic interventions and personalised packages of therapy to our service users. The team provide a range of therapies delivered in group and individual settings, including DBT, Schema Therapy, psychodynamic psychotherapy, CBT, trauma work, substance misuse and offending behaviour interventions.